Ever since my recent success with cupcakes in a jar, my mind has been spinning with all the desserts I want to put in a jar! 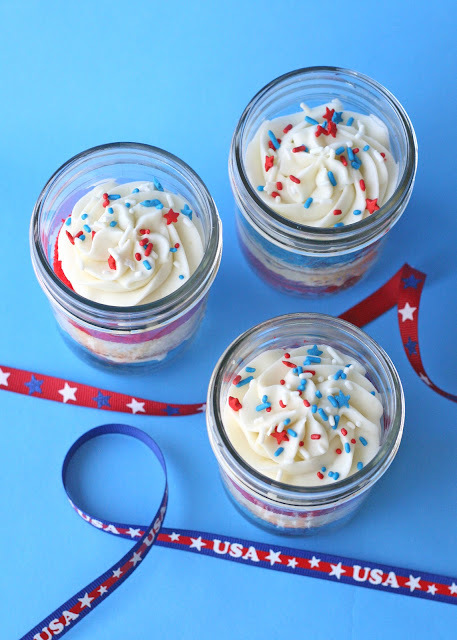 I’ve created a special 4th of July version of cupcakes in a jar as my monthly contributor’s post over on The Tomkat Studio. Head over to The TomKat Studio to check out the full post and get the free (gotta love that!) printables I used to dress them up. Oooh I love how these turned out! I love the way these look! I hope you'll link them up tomorrow at Made it on Monday. Ummm….I'm just loving all these fun treats you're sharing for the 4th! So fun and pretty! Thanks! YOU KNOW I think these are gorgeous!!! What are you doing with all of these AMAZING 4th of July treats? Besides, making me wish I lived with you! I am completely in love with these. Simply.Darling. just found you. kind of in love with these! these are just so cute! and i love that you get three levels of frosting! as my hubby says, cupcakes should be called "frosting delivery vehicles"! Ha! You can tell what our fav part is! 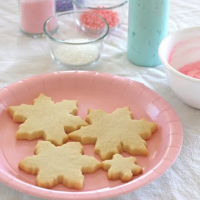 What great idea…my oldest granddaughter will love making these with me! Glory, I just stumbled upon your blog and am in love! These are so adorable! 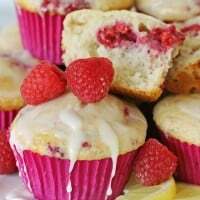 I just started my own fashion/baking blog, little girl, big taste. I hope you get the chance to check it out! Adorable! I like you, love anything in a jar! I absolutely love these! Too cute! just found you! you are amazing and i thank thank thank YOU for sharing!!! Another great "in a jar" treat! Love the layering. WOW!!!! I love those little cupcakes! Your treats never cease to amaze me. 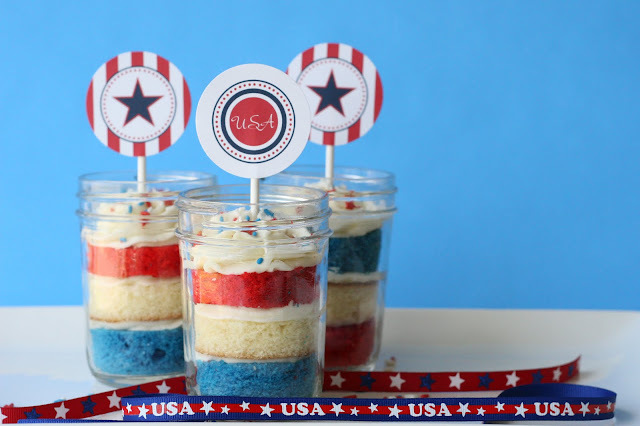 I was going to make the flag cake, but now I kind-of want to make cupcakes in a jar — too many super cute ideas! Truly adorable! Such a great idea! These are darling. 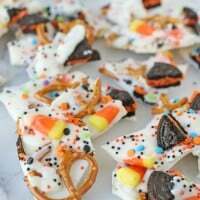 I want to make them! So cute!! I'm inspired to try some jar cupcakes. Ahh why didn't I see these before last weekend?? So adorable and delicious!! Now, off I go to get a dozen or 2 mason jars. Where can I get these jars for "cupcakes in a jar"
@Barbie- I bought my jars at Wal-mart, but I've also found them at the grocery store. Glory in what section in Wal-mart do you find the jars. I couldn't find them. I'm not sure maybe they just don't bring them here in PR. @Barbie- I found them in the kitchen department, near baking pans, etc. My store has a about a 1/2 aisle of canning supplies. I've also seen these kinds of jars at different grocery stores. So glad I came across these on Pinteret. 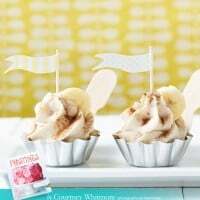 I was looking for the perfect dessert for a welcome home gathering I am having for my husband when he comes home from deployment…these are perfect. Thank you! I love these! SO cute and festive! I’ve been wanting to do a dessert in the jar and have been putting it off– but now, I’m going to go get myself some jars and do it!